About 100 nut- and seed-based products have been recalled after being linked to a 19-state outbreak of Salmonella that began in June. The recall list includes several brands of peanut butter, cashew butter, almond butter, and tahini, all made by Portales, New Mexico-based Sunland, Inc.
About 100 nut- and seed-based products have been recalled after being linked to a 19-state outbreak of Salmonella that began in June. 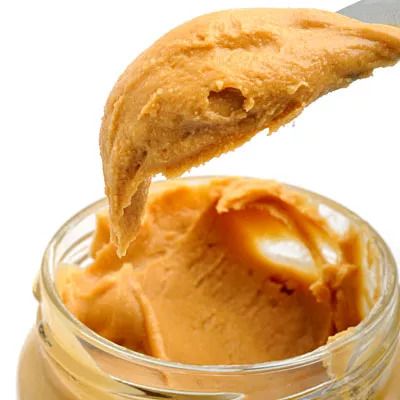 The recall list includes several brands of peanut butter, cashew butter, almond butter, and tahini, all made by Portales, New Mexico-based Sunland, Inc.
Federal investigators believe a contaminated batch of Trader Joe’s Valencia Creamy Salted Peanut Butter (also made by Sunland) is responsible for the outbreak, which sickened 30 people between June 11 and September 11. Trader Joe’s pulled the suspect product from its shelves and issued a recall on September 22. Sunland agreed on September 24 to recall several other products made on the same product line as the potentially contaminated batch. For a full list of the recalled brands, go to FDA website. The Centers for Disease Control and Prevention (CDC) recommends against eating any of the recalled products. This is especially important for kids under five, older people, and people with weakened immune systems, who are more likely than other people to get very ill from Salmonella. About 400 people die each year in the United States from Salmonella infections. Foods ranging from cantaloupe to ground beef can carry the bacteria, which can also be spread by pets like turtles and frogs. Symptoms include diarrhea, fever, and abdominal cramps, and people usually are sick for four to seven days and recover on their own. However, some people develop severe infections and need to be hospitalized. These individuals at risk of having the infection spread to their bloodstream, which can be fatal without quick antibiotic treatment. Four people have been hospitalized in the current outbreak, but no deaths have been reported.